We often meet with would-be and current app publishers to discuss taking over their partly-finished apps from overseas and local developers when the wheels have started to come off the cart. It is a sad fact of life, but you tend to get what pay for and choosing shortcuts and cheap outsourced options often brings with it some fairly predictable outcomes. We don't judge, and are (almost) always happy to lend a helping hand to finish apps to a Release stage if they have failed to be completed. Unfortunately, however, we also come across situations where an inappropriate platform has been chosen and that platform simply won't get the app the rest of the way to a completed, scalable product. Sometimes it's because previous developers have chosen to create a "cross-platform" app using any number of tools that are yet to work and perform perfectly on any platform. But the more heart-breaking scenario is when previous developers have deliberately chosen the latest and greatest service platform that then gets shut down because it was just isn't making money (or start charging huge sums of money for existing apps to remain active). One platform that we have talked with a few app publishers about in the past is called "Parse", a "Mobile Backend as a Service" (or MBaas) product. On the surface of it, it seemed like a good idea to them - owned by Facebook since 2013, it enjoyed a good following and made it easy for less technically athletic developers to create complex services such as Push Notifications and server-side data storage/API's. 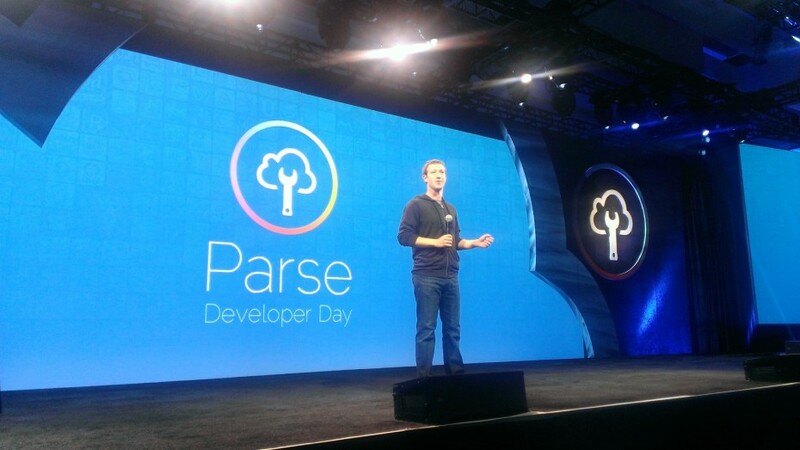 Mark Zuckerberg presents at the Facebook Parse Developer Day in 2013. Our Managing Director, Ian Exaudi, recalls having meetings with several prospective and current app publishers as recently as last year, who were keen to save budget by getting their app to work via Parse instead of a bespoke API such as those that Creative Intersection builds and hosts. "It's a tragedy when an app publisher spends $50-80K on an app through another developer only to discover that the app will soon stop working and need to be completely re-built because someone has decided to kill off a third-party service", says Ian. "We feel the pain of these entrepreneurs who are having a red-hot go at doing something cool with a new app but have gotten themselves stuck after receiving ill-considered or inexperienced advice early in their venture". Last week's announcement from Facebook is a case-in-point. Parse will be shutting down in January 2017, leaving many app developers and publishers stuck and needing to invest in massive changes to their apps and systems just to keep going. Here is Parse's own announcement. Lesson: Own as much of your product as you can! If you would like to talk about how to get your Parse-based app working again, give us a shout. (update 3/2/16): We are now offering a Parse Data Migration and Hosting service.